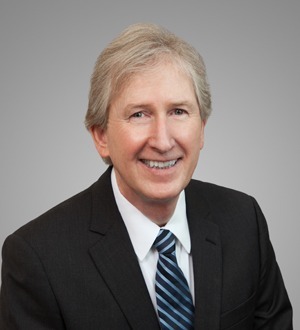 Lawrence Ingram concentrates his practice in professional liability, qui tam and health care fraud, trade secrets and restrictive covenants, and insurance coverage. In the area of professional liability, his practice focuses on the litigation and trial defense of professional malpractice claims against insurance agents and attorneys. Mr. Ingram has defended in excess of 350 professional liability suits during his career. He is recognized as the preferred defense counsel by a number of insurers, law firms, insurance agencies and the Florida Association of Insurance Agents (“FAIA”). In the area of health care fraud, Mr. Ingram has handled the defense of high-profile False Claims Act qui tam actions. He also has extensive experience in litigation relating to restrictive covenants and trade secrets, including the defense and prosecution of such cases through jury trial and appeal. In the area of insurance coverage, he provides counseling to businesses and insurers in constructing and applying insurance policies, and in defending insurance coverage actions. In this regard, he has litigated numerous declaratory judgment actions in state and federal courts. He serves as the managing partner of the firm's Tampa office.